I must admit I was really nervous at the start but the guys really got me into it and the nerves just went. It was a surprise birthday present that my mum bought for me and I have to say I thoroughly enjoyed it. Thanks Mum. If I could just say one more thing, I totally recommend it to anyone looking for that little something different. Thanks guys." Click here to listen to my track. same time taught me just how professional this whole experience can be, at the same time having a wonderful fun time. The time just flashed by, and by the time I was finished I sounded like a real star. It was a great experience lots of fun one of the best days of my life, I would recommend 'Star for a day' to anyone who loves singing. Thank you guys." I especially loved the vocal coaching and the breathing techniques. I was so nervous at first but they made me laugh so much that I totally forgot about my nerves. I really enjoyed singing my song and its so true what they say, time really does fly when you're having fun. I'm definately gonna do this again and I recommend anyone else who likes to sing, its definately worth it"
"Hi I'm Frenchy and the first thing you think when you walk in is wow, how am I going to do this. But then you just relax and start to get into what you're doing and then it all just starts to come together. "Hi my name is Harrison, I was given the Star for a day experience for my birthday by my mum. It was a real surprise. I didn't know what to expect and I was really, really nervous. But when I met Steve & Joe they really made me feel at ease. They were very professional and I learnt so much, I wish I could do it all over again. WOW! it was amazing, I was made to feel really important and special, and was given great advice which I will always use. I can truely recommend Star for a day to anyone who loves to sing like I do. Thanks guys for making my birthday extra special". 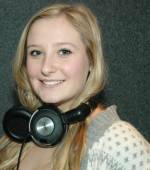 Hi, I'm Amy, my star for the day was brilliant, the recording studio was amazing and had a real professional feel. I definitely enjoyed the experience and would recommend it to anyone with an interest in singing - what better than to have advice from guys who know what it's like to top the charts....they were fantastic!!! I had an excellent day! Hi, I'm Kelly, I had a platinum plus session for my 18th birthday and it was a brilliant present. Steve and JC make you feel right at home as soon as you arrive and your nerves just disappear!
" Its a great experience that was really good fun, but at the same time was really professional"
" Both of the guys Steve & J.C. took so much time and care to get it just right. Thank you"
" Makes a great and unique present for anyone, that you just won't find anywhere in the shops"
" It was rocking!! " Hi, my name is Shayan and I am from Lebanon, While I was on holiday in London my mum bought be this Star for a day Gold session and it was the most exciting part of my holiday. We have arrived back home now in Lebanon with lovely memories from London, the most exciting was spending the day at your studio. Thank you guys - what a great day! I’ve secretly harboured a desire to see how well or how badly I could sing and the guys at Star For A Day (Steve & Joe), gave me the opportunity and the encouragement to live out that desire. I enjoyed the experience so much, that I intend to repeat it at my earliest opportunity, when I’m sure I’ll enjoy it even more. I can’t speak too highly of how Steve & Joe looked after us and encouraged me to get the best from the experience. Anyone who has a secret desire to experience singing ‘like’ the professionals, should certainly follow my example and give Steve & Joe a call. Hi I'm Shyanne, Star for a day was awesome, and was a great experience. I learnt a lot of new things that I didn't know, like breathing and how to stand correctly. I didn't realize how much work goes into making a song and I would love to do it again. it was a great day, I had lots of fun working with you guys. I will definitely be back to see you guys again and do it all over again. Hey -Jessica here, I was very nervous when I first started and didn't know what to expect, but it was really great - I loved it. It was very interesting and I learnt so much. Because I was so nervous I thought it was going to be hard, but because of Steve and Joe they really made it so easy for me.Singing and just being in the studio made me feel so good. I thought the finished thing was going to sound terrible but when I got my CD it looked the biz, then when I heard the final mix, they really made me sound good, just like the pro's. I would recommend anyone to have a go, I want to go back! being in the vocal booth and singing with the headphones on, and the producers were very helpful and friendly. Another thing I really enjoyed was the photo session afterwards. If I could I would really do it again. but from the minute I walked through the door the producers Steve and Joe made me feel really comfortable. They taught me a lot things I never knew before like how important it is to stand and breath correctly. When we got around to singing my song which I really enjoyed doing I was amazed at how the recording process works and how hard the real pro's have to work. My mum cried when she heard the finished CD - she was so proud of me. I would like to thank you again for the amazing time I had doing my star for a day bronze session. I had an amazing time and felt totally relaxed once in the Vocal booth!!! I really recommend it to anyone!!! Hello my name is Abigail. It was my first time singing in a recording studio with real producers like Steve & Joe. I did feel a bit nervious but they looked after me and made me feel relaxed. It was a great day and i really enjoyed the singing. Thank you steve and Joe for making me feel special. I would love to come again. guidling me trough the various stages of recording, and it was great. I had such a good time i'll never forget, so thanks to the boys for a great experience and i'll definately tell my friends and family to have a go. I know they'll really enjoy it. I'll be doing it again - that's for sure. Thanks boys - LEWIS. It was Amber's birthday party and it was a big surprise when she told me that we would be making our own CD and Video. I was very nervious but because I was with all my friends it was ok in the end. I really enjoyed myself and would really love to do it again. I really enjoyed myself at Amber's birthday party. we had a really good time in the recording studio. I have never sung in a recording studio before and it was very exciting, I had to wear headphones and we all sung in this special room called a vocal booth with a big glass door. We were all together singing and having a lot of fun. Today was great fun at Amber's birthday party, we made our own video and sung our own CD. I was very very nervous and at first was quite shy, but I was with all my friends and we really had a lot of fun, sometimes we sung in the studio and sometimes we sung around a big mic. This was my first time and it was great. friends there as well I forgot about my nerves and started having so much fun. We had some singing lessons and we were allowed to touch some of the equipment. I like singing and I would love to do it again. I really enjoyed myself - we had a lot of fun, singing and feeling like real Pop Stars. I enjoyed singing with all my friends, we were even dancing. After Singing we made a video, that was also a lot of fun. Then we took some photos and then had a tea party. Star for a day was my birthday present and it was the best thing ever. This is the second time I've done this, and this time I was not nervous at all, not like the first one I did. Some of my friends were there and they made my day very special. I really enjoyed singing with my friends and making the video was great fun. I like singing and dancing it's one of my favorite things, and when we were singing together we couldn't stop laughing because we were having so much fun. Thanks everyone for making my day special. Hi I'm Tasha and I had an awsome experience, a real fun time, it was great. 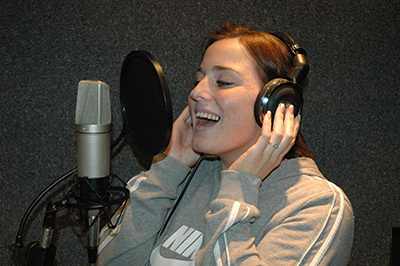 I would tell anyone who loves singing to definately have a session. I felt so confident afterwards, they were so professional and helped with my nerves! Wow! the whole experience of being a Star for a day was Excellent. I felt really nervous when I first got there, but Steve and JC really did put me at ease. They really did make me feel like a real Star, I couldn't have hoped for a more professional couple of guys to share such a wonderful experience with. Thanks guys for such a wonderful day. I'll see you again for sure! Hi my name is Ashleigh and I love singing, and when I went to Star for a day I had such a great time and lots and lots of fun. I really enjoyed singing my songs and loved working in a real studio, with all the lights and buttons. I would love to do it again because they were very friendly and helpful. Hi I'm Jade - I really enjoyed my time at Star for a day, and I had a lot of fun. I felt like a real Pop Star even though I was very nervous on the day. My nerves went very quickly because at Star for a day they really help you, even if you make a mistake. I liked singing in the vocal booth and wearing the head phones. The time went too quickly, I would do it all again. as it was my second visit I was more familiar with the specialist equipment and how to use it effectively. The whole experience was brilliant and I really enjoyed it. Hi I'm Kasharna, I went to star for a day and I went with my friend Farah. We had such a good time and would recommend it to any one who would like to try. It is amazing to hear your voice but you don't get to hear the whole song . That's what I think made me really impatient because I really wanted to hear the finished cd. As soon as the cd came I told Farah and she came round so we could watch it together. We ripped it open and loved the cd case I really liked all the pictures . Then we listened to it and thought it was amazing and we kept on replaying it. Thank you for a wonderful day. Hi my name is Farah and I came to Star for a day with my friend Kasharna. We both had a fantastic day and really enjoyed ourselves so much. I love singing very much and would love to do it again someday. I would like to thank Steve & Joe they were very patient and helpful. I'm Charlotte & been singing since I was 3 or 4. Singing is something I love to do. I'am always singing at home & always wondered what it would be like to be in a recording studio. I never thought I'd get the chance. Then I found out about Star For A Day and thought I should try it out. Hi this is Abbi and she was a lucky winner of this Star for a day Basic session. She won her voucher from her School Summer Fete. She had a great time with us and was great fun to work with. If you would like to find out more about our school program where we give our local schools a little helping hand for fund raising events. Please drop us an email at the address listed below, and we will be happy to see how we can help. As we like to say here at STAR FOR A DAY: Any one can be a Star For A Day, Including You. Hi my name is Janay. Star for a day was absolutely brilliant! Being able to sing my favourite songs was great and being lead through a vocal warm up before hand was so beneficial. It was such a fun day that I will treasure forever. I definitely plan on coming back! Hi my name is Ambar. Star For a Day was probably one of the funnest days that I'm sure to remember! It was the perfect gift due to my love of singing and Steve made the experience even more comfortable and enjoyable! I'd never hesitate to go back! :D.
Hi I'm Tiffany and my exprience at Star for a day was fantastic, I had loads of fun and enjoyed myself, I really loved it. I have never done anything like this before and as you can imagine I was very nervous, but I soon forgot about being nervous as we had no time for that, the session was filled with activity and seemed to be over so quickly. Steve and Joe were very helpful and patient. I couldn't stop talking about Star For A Day for weeks. Thanks to everyone. We had to wear head phones, it was strange hearing yourself. The birthday party and all the food was great fun too. Making the video made me feel like a real star, but it's ture what they say, you really do feel like a Star For A Day. My Star For a Day experience was fantastic! The guys were really professional and made you feel at ease which is great because then all you need to do is belt out your tunes! You are encouraged to sing the songs thinking of different things for example the words meaning or like you are singing to an audience who are loving you! It is amazing how different you sound depending on what you are thinking of and it feels great to hear yourself and that you are actually in tune! I absolutely loved, loved, loved my experience was buzzing afterwards and when your CD arrives you get that buzz all over again! Thank you Guys!! you have a good ear and gave good advise which helped get the best vocal on the day, and most importantly I'm pleased with the result. At first I was so nervous, but we took it turns to sing so we all got a turn. Making the video was great fun also, there was a green screen and we sung and danced in front of it. I couldn't stop talking about it for three weeks while we waited to see the finished thing. But I got my own surprise because I got my very own copy of the dvd and a cd as well. It's a great idea for a party. The guys, Steve and Joe were very helpful and patient which helps to calm your nerves. It was over, all too quickly and I couldn't wait to receive my package to hear the finished results. I would definitely recommend it to all my friends. Thanks again guys. made everything seem so easy, it was truly a great experience and one I will never forget. I enjoyed signing in the studio and would definitely do it again. My parents were both there and I could see they were having great fun too, just watching. We had a party, lots of food and drinks and my mum got me a beautiful piano cake. Then we made the video, working with the green screen was fun. Thanks Mum & Dad for a great gift, and thanks Steve & Joe for making my day so special. When my friend Merlie Anne invited me to her Star for a day Platinum Pop Party I didn't know what to expect, and before I got there I was so nervous. but as soon as we got working i forgot all about my nerves. I had so much fun, I love singing and I it was great to feel like a Pop Star at Merlie Anne's Pop Party. We did so much but it all went too quickly. I'm Troy, Merlie Anne's brother, and I'm the funny one. My sister's party was so cool and I got to sing in a real recording studio and sing like a Pop Star. My name is Kaitlyn and Merlie anne is my friend, I had so much fun at her birthday Pop Party. Hi I'm Amy, and I had a fantastic time at my friend Merlie Anne's birthday Pop Party. Singing in the studio was different. Steve and Joe are true professionals and know their stuff. I rocommended a friend and got a free Star for a day session, then i bought an upgrade to Silver. it was easy and simple to do. I look forward to my next session. It was the 2nd time that I had a Star for a day Pop Party and I enjoyed this one just l like the 1st. We had so much fun and making the video was great. I can't wait for my next one. I went to Amber's first Pop Party and this is my 2nd time, I loved it and had a great time it was so much fun we had a great party. It was my 2nd time at Amber's Pop Party, I really enjoyed myself. When I saw the video I thought it was really great. I'd love to do another Star for a day. It was my time at Star for a day and I was very shy at first, then I really had a lot of fun. I loved the video part and thought it was awesome. At Amber's Pop Party I was very nervous in the beginning but then I had so much fun. I loved the video, it was good fun making it. I really enjoyed myself so much, I loved singing and I loved dancing in the video. Making the video was really cool and we had so much fun. The Party was amazing, I had to miss a part which made me sad. But when I came back I was really happy because I didn't miss making the video which was so much fun. to Star For A Day I was very nervious but Steve & Joe are true professionals and know to make you relax and get the job done. I know I have said this before but I recommend Star For A Day to anyone who loves to sing, Its amazing, it's fantastic and it's really great fun. Once again guys thanks you so much. I went to the most fantastic party in Sutton. It was Amelie's Birthday Pop Party, it was really enjoyable and we all had so much fun. Being in the studio was awesome and listening to myself and the others sing was a new experience. It was a very special day and I'd love to do it again. Amelie's Pop Party was really cool, the singing was fun - the whole day was very good, I would definitely recommend and I'd do it again, anytime. I went to Amelie's Pop Party and I really enjoyed myself, I especially enjoyed the singing in the studio, we had so much fun and I would love to do it again. Hi I'm Amelia and this was one of the best birthday parties i ever had, I got to sing in a real recording studio. We got to sing all together and I even got to sing on my own. If you ever want to have a great party I recommend Star for a day Pop parties to anyone. We had so much fun and the after party was great, I'd do it again. Thank you! At Amelie's Pop Party I had so much fun, I really enjoyed singing and I really enjoyed watching and listening to everyone sing, we had a lot of fun, it was a great party and I'd do it again. Amelie's Star for a day Pop Party was really good. I had so much fun being in a real recording studio and I got to sing on my own and with the whole group. When it's my birthday I'm going to have my own Star for a day Pop Party. The staff are amazing so welcoming and friendly they made you feel so comfortable and even when you didn't do things great you were reassured. I found the techniques I was given and advice on the day great and am now enquiring on singing lessons with SLNB music as I found the environment great to let loose in, I would really recommend this to anyone who loves to sing! Star for a day was amazing ever since I was a young girl singing professionally has always been something I would love to do! And star for a day made it feel like a long awaited dream come true! Star for a day was a fantastic experience, I had such a great time. I've done Star For A Day before and this one was the best, we had so much fun and Amber's Party was great. The food was good too. I've done Star For A Day before and this one is the best, we had so much fun and Amber's Party was great. Amber's birthday party was really cool, we had a lot of fun and making the video was very enjoyable. Star for a day is great fun. Amber's pop party was really good, I really enjoyed myself and had so much fun. I love singing. Doing Star for a day is my most fav thing, and my birthday pop party was awesome, it was the best ever! I can't wait to do another one. 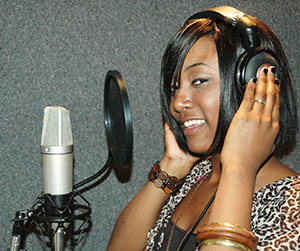 When I first walked into the studio I was very shy but at Star for a day they made me feel very comfortable. By the end of it all I really enloyed myself and had lots of fun. I had a fantastic time at Amber's birthday pop party, we all enjoyed ourselves and made our own pop video which was super awesome. I loved it. I really enjoyed myself and had lots of fun. I enjoy singing and would love to do it again if I had a chance. I would definately tell my friends. My name is Isabelle and my Star for a day session was fantastic. My name is Halle and I loved Star for a day, it was fantastic and we all had such a great time. Star for a day was great, I enjoyed singing very much and I would like to do it again. Thank you Star for a day for a great time. I had a wonderful time at Isla's Star for a day birthday pop party. Singing in the studio was geart fun and we felt like real pop stars. And to make it even better we got to make our own pop video as well. We all had so much fun singing and dancing, I'm so happy Sophie invited me to her Platinum Pop Party. I'm so lucky - Thanks. and it was fantastic. 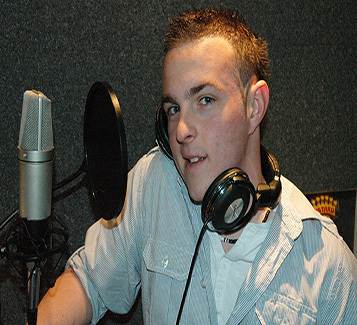 I have never sung in a studio before and it was great fun, I really enjoyed myself and the party food was good too. I loved Star for A Day, I loved singing, I loved making the video. We all laughed so much and Sophie's birthday was great. The best bit was making our video - We sung a really fun song and at Star For A Day they really make it easy for you. The Studio was really nice and singing in the booth was fun. I had my birthday party at Star for a day in Sutton. I invited five of my friends and we had the best time ever. Star for a day was really good, at first I was shy but after a little while i was laughing and enjoying myself. Star for a day is great fun. And I had s fantastic time. I loved singing and making my video with my friends, that was great fun. It was amazing and Star for a day made it so easy for us. My name is Sophie and my and for my birthday had a Star for a day Platinum Plus Pop Party. I really love singing, and today I got a chance to make my own CD.